Financial problems? Use leverage, not muscle. 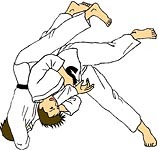 In the article Ten ways life is like jiu jitsu, #8 is Use leverage, not muscle. I might make that item #1 for what to do if you have financial problems. Most of us try to "muscle through" financial problems – working harder and longer, draining our retirement accounts, even to the point of destroying our health and relationships – before we realize it just isn't working and we need another plan, one with leverage. What's a plan with leverage? The best one I know is the one our Congress provided for "the honest but unfortunate debtor", a path to "a new opportunity in life and a clear field for future effort, unhampered by the pressure and discouragement of preexisting debt". Yes, that is what bankruptcy provides. No force or muscle needed, just intelligent application of the rules that Congress provided. What if you try the "muscle" route too long? You're likely to wind up with much less Fresh Start money than you would have if you had contacted an experienced bankruptcy attorney sooner rather than later. ← File bankruptcy having a joint bank account with my mother?